Moviegoers gave rave reviews to the Gray’s Reef Film Festival’s first-ever “3D Night” last year, spurring Gray’s Reef National Marine Sanctuary to offer two consecutive nights of 3D fun at the Trustees Theater in downtown Savannah for the upcoming festival. The sanctuary also is expanding the event’s reach by adding a daytime slate at the Tybee Post Theater. On tap for the 3D showings at the Trustees Theater Feb. 3-4 are “Galapagos 3D: Nature’s Wonderland,” “The Last Reef 3D,” “Wonders of the Artic 3D” and “Secret Ocean 3D.” “Galapagos 3D” is directed by award winner Martin Williams, who is well known for his documentaries with David Attenborough. “The Last Reef 3D” was shot in five countries and is the production of Academy Award nominees Luke Cresswell and Steve McNicholas, while “Wonders of the Arctic 3D” is a sweeping film by David Lickley, who describes himself as a “wilderness environmental-themed filmmaker. “Secret Ocean 3D” is a beautiful jewel of a movie by Jean-Michel Cousteau. 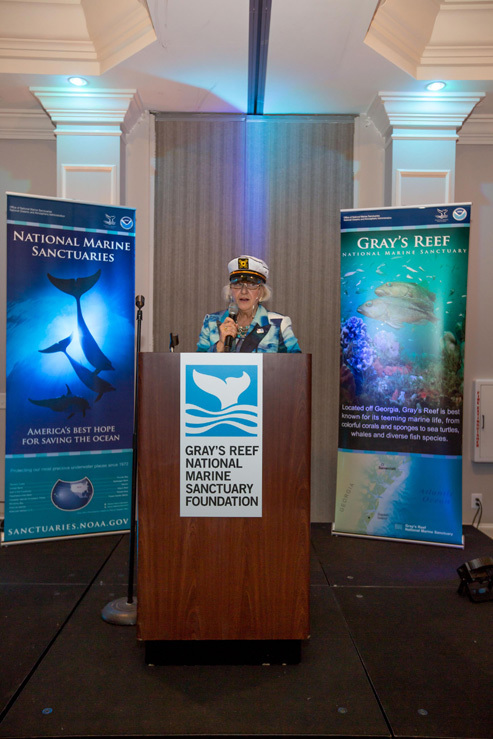 Like last year, Gray’s Reef suggests a donation of $10 per day for adults, $5 per day for children, students and military, to benefit the Gray’s Reef National Marine Sanctuary Foundation. The foundation will host a pre-festival party on Feb. 2, with limited tickets available. 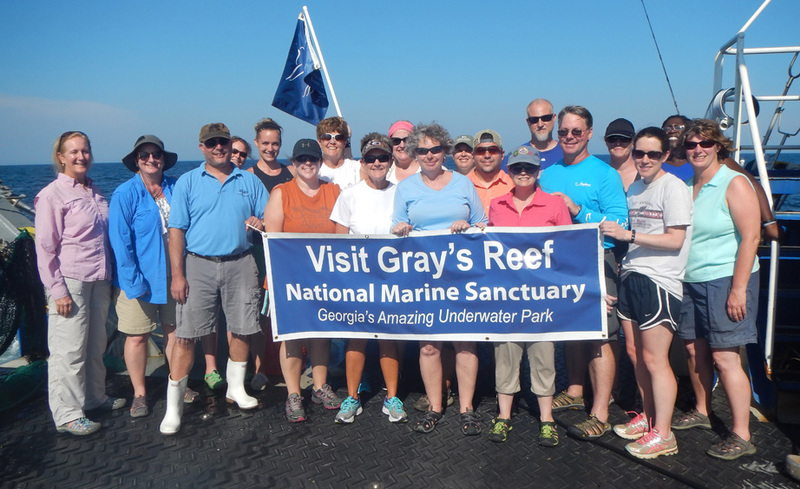 In June, Gray’s Reef National Marine Sanctuary hosted the 13th annual Rivers to Reefs Workshop for Educators in association with the University of Georgia Skidaway Institute of Oceanography, the Georgia Aquarium and Gordon State College. Cathy Sakas, chair of the Gray’s Reef National Marine Sanctuary Foundation, and Kim Morris-Zarneke, manager of education programs at Georgia Aquarium, served as the primary leaders of the workshop, with assistance from Theresa Stanley of Gordon State College. 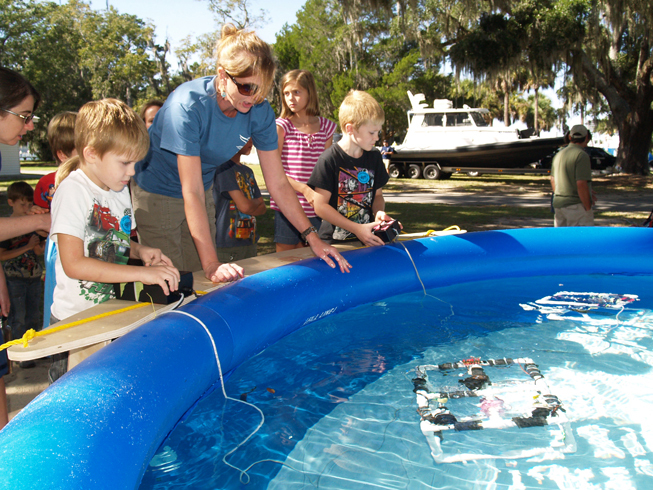 Michelle Riley from Gray’s Reef National Marine Sanctuary served as communications lead. 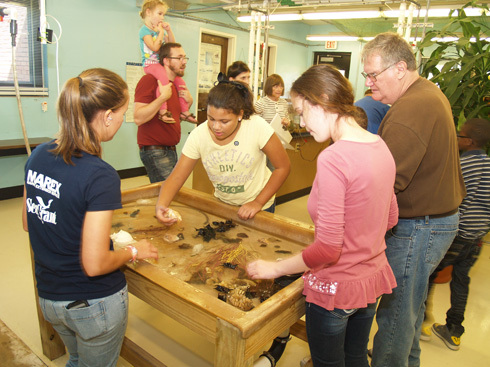 Rivers to Reefs is an educational expedition for teachers, focused on Georgia’s Altamaha River watershed. During the six-day trip, 16 Georgia science teachers canoed the Oconee, Ocmulgee and Altamaha rivers into the Sapelo estuary, crawled through salt marshes, traveled to Gray’s Reef and trawled the Wilmington River. They learned and explored the connections between the watershed and the ocean. 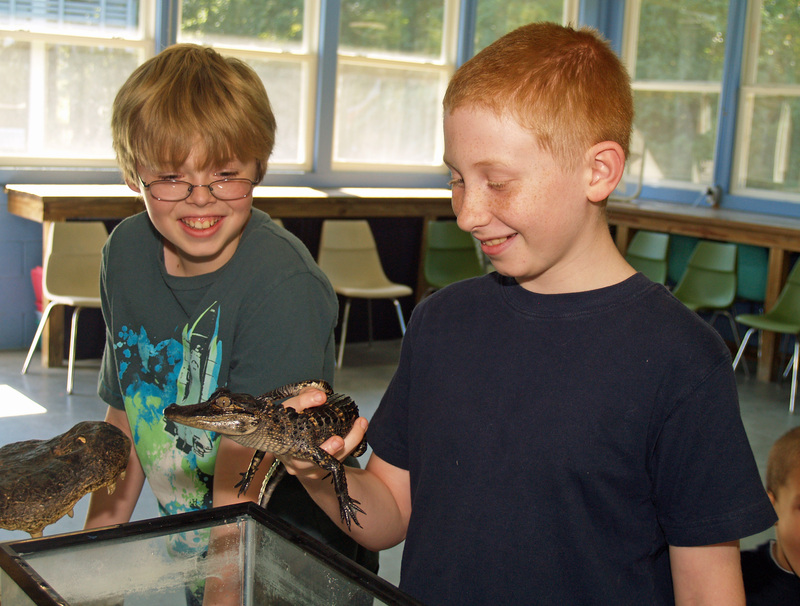 The week was packed with activities that most teachers never experience, beginning with a behind-the-scenes orientation at Georgia Aquarium, and it included an offshore trip to Gray’s Reef National Marine Sanctuary aboard the first working research vessel the educators had ever seen close up, Skidaway Institute’s R/V Savannah. In between, the group explored creeks, waterfalls, rivers and estuaries, and saw an abundance of flora and fauna. 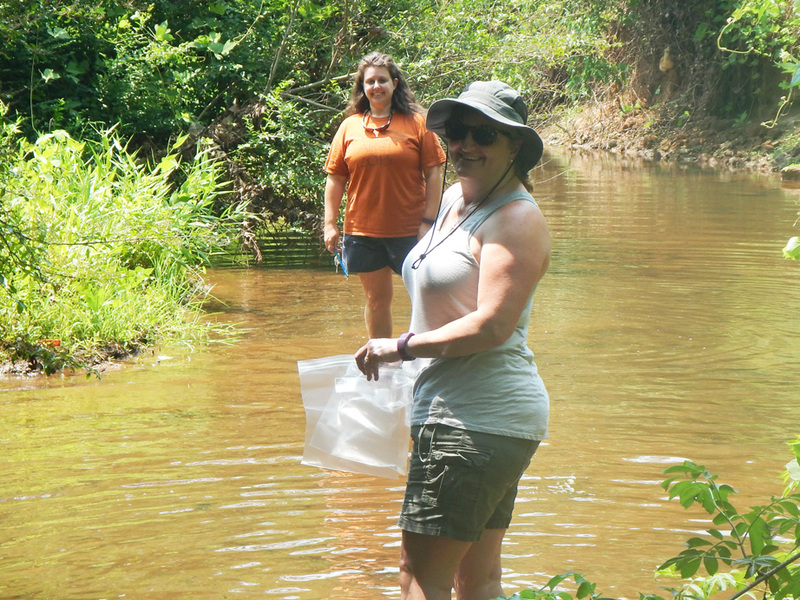 They frequently stopped to collect water samples, conduct water quality tests and record environmental factors to determine the overall health of the creeks and streams that flow to the river system. As the week progressed, the teachers developed an understanding of the profound influence the waters flowing through the Altamaha River watershed have on the health of Gray’s Reef and were inspired to teach their students about environmental responsibility and ocean literacy. Always a highlight of the workshop, the marsh crawl on Sapelo Island was a memorable experience. The group sloshed on their bellies through the thick dark mud to learn why marshes are considered some of the most important and productive habitats on Earth. The estuary that encompasses the salt marsh, where the freshwater from the Altamaha River mixes with the saltwater of the Atlantic, is one of the largest estuary systems on the Atlantic coast. The teachers on board the Research Vessel Savannah. Waters were calm for the voyage out to Gray’s Reef National Marine Sanctuary on the R/V Savannah under the command of Capt. John Bichy, marine superintendent at UGA Skidaway Institute. 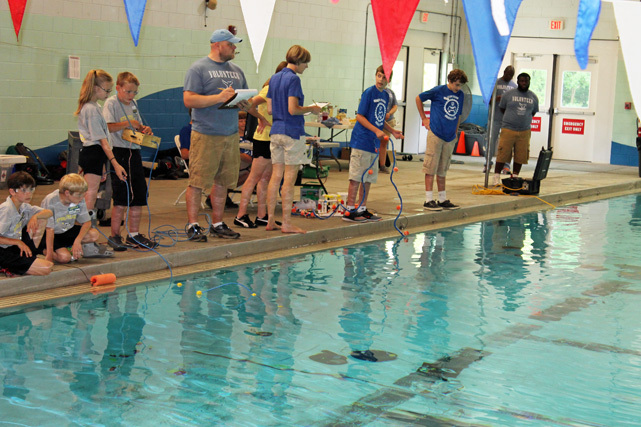 With extensive assistance from the R/V Savannah crew, the teachers conducted water quality tests at three separate points in the ocean. Meanwhile, the ship’s crew pulled a trawl net through the ocean at midwater depth and brought in many interesting fish, a large pile of Georgia shrimp and a handful of sharks, including a hammerhead and a small Atlantic sharpnose shark. During the trip, the teachers were delighted when they were treated to lessons by professor Marc Frischer of Skidaway Institute on black gill in shrimp and on pelagic tunicates called doliolids. While in the sanctuary, the crew deployed an underwater camera to allow the teachers to see the reef and its sea creatures in real time, without getting wet. On the final day of Rivers to Reefs, the teachers boarded UGA’s R/V Sea Dawg, a smaller vessel used by the UGA Marine Education Center and Aquarium, a unit of the UGA Marine Extension and Georgia Sea Grant. Capt. 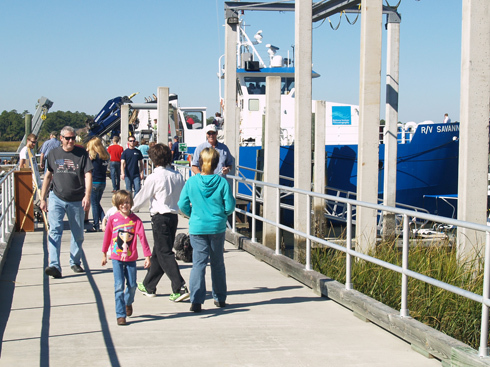 John “Crawfish” Crawford and Anne Lindsay, associate director for marine education, conducted a field class during the two-hour trawling voyage in the Wilmington River. The teachers recorded the catch for research purposes and ended their trip with a wrap-up by Frischer and the expedition leaders, before scattering across Georgia with great memories and a treasure trove of experiences to pass on to their students this fall. The Gray’s Reef National Marine Sanctuary Foundation hosted its first major fundraiser on Sept. 24 – “A Fishy Affair: Malicious but Delicious.” Four of Savannah’s prominent chefs cooked up their best lionfish dishes in an effort to encourage restaurants to put lionfish on their menus because they are invasive — but tasty – creatures. The event was sold out, and almost 250 people enjoyed the evening. A Fishy Affair board member Kathryn Levitt. The lionfish is native to the tropical waters of the South Pacific and Indian Oceans. They are popular in home aquariums but are now invading ecosystems throughout the Atlantic coast and Caribbean. Lionfish damage the ocean by eating up to 20 small fish per day. 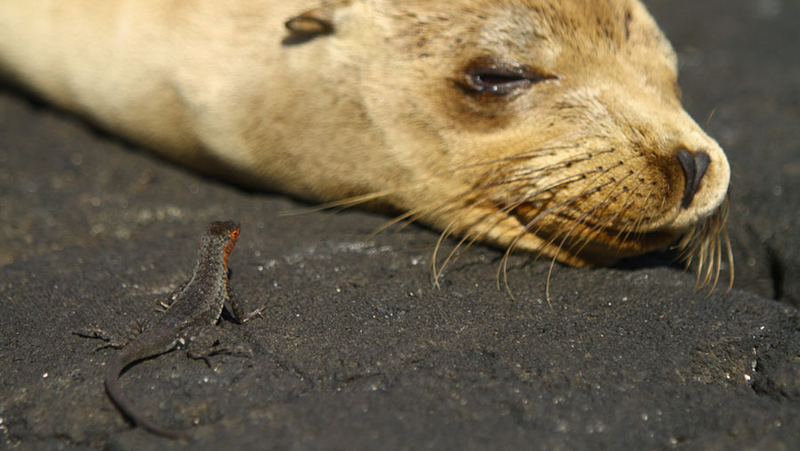 With a very quick reproduction rate and no natural predators in Atlantic waters, they have multiplied quickly and threaten the natural biodiversity that provides economic and recreational opportunities. While completely removing lionfish from Atlantic and Caribbean waters is unlikely, reducing their numbers is critical to the ocean and for Gray’s Reef. A Fishy Affair featured a full dinner, a short award-winning lionfish film, “Ocean Invaders,” by Mandee Malonee, a live Lionfish for viewing and a small live auction. 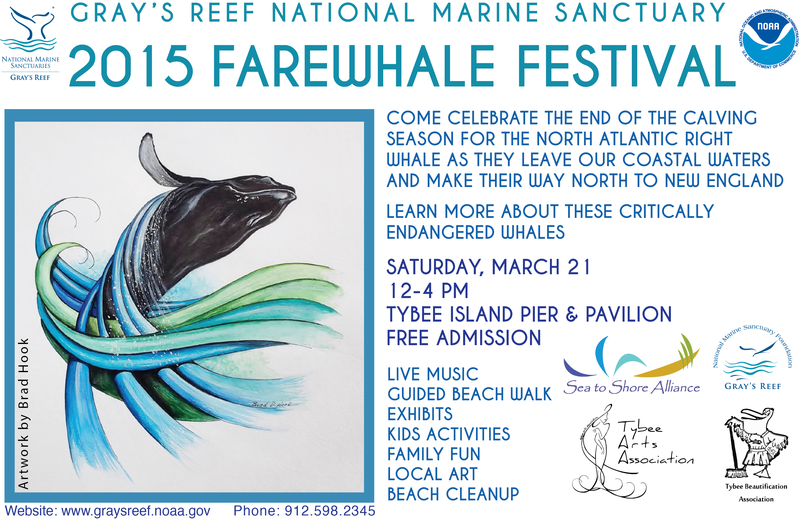 All proceeds benefit Gray’s Reef National Marine Sanctuary Foundation. Save the Date for the 13th Annual Gray’s Reef Ocean Film Festival! Gray’s Reef National Marine Sanctuary will present the Ocean Film Festival on Friday and Saturday, Jan. 29-30, 2016, at the Lucas Theatre and Trustees Theater in down Savannah. “This year’s film festival is slated to be the best ever,” said Gray’s Reef’s Michelle Riley. “When I was introduced to the new technology developed specifically for us, I immediately understood that this was a breakthrough in underwater filming that would allow us to capture extraordinary, never-before-seen images that I had never witnessed in my 69 years of diving,” Cousteau said. The wonderful sports film, “The Current,” features people of all abilities who enjoy adaptive sports and shows participants scuba diving and ocean kayaking alongside whales and dolphins in exotic locations, including Bimini, the Bahamas, Mexico and Hawaii. For additional information and a schedule of films, visit www.graysreefnmsf.org.